Driving along Wilsonville Road, several hundred acres of hazelnut trees branch out from either side of the road. 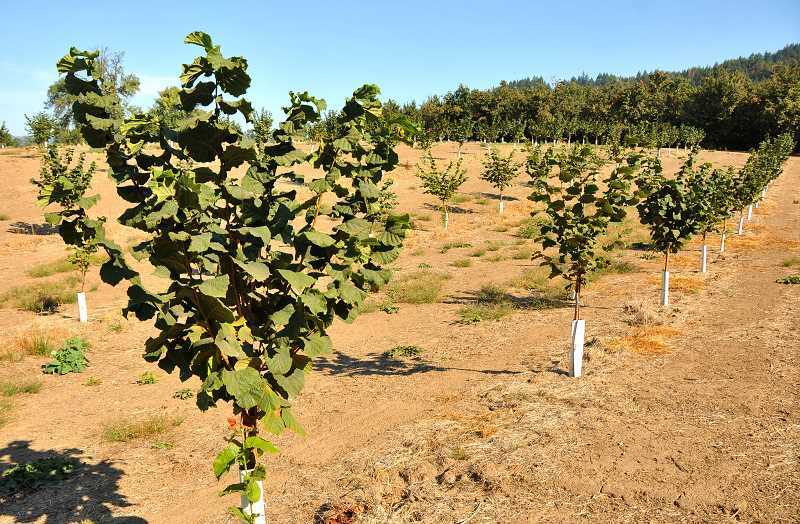 These farms are among approximately 800 farms and 60,000 acres in Oregon and have an estimated economic impact of $150 million, according to Oregon Hazelnuts, a hazelnut education and resource association. Industry insiders say that the number of planted acres is steadily growing as more people are getting into growing the state's official nut. 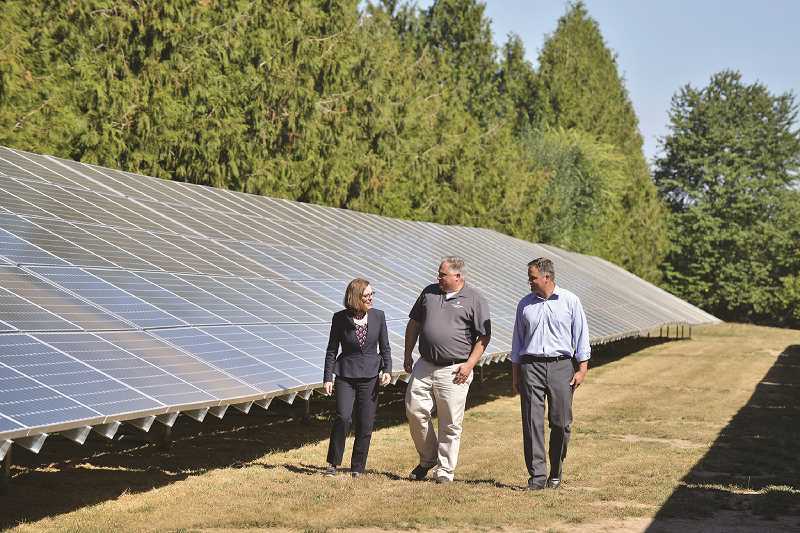 At its main processing location in Hubbard, processor NW Hazelnut unveiled its 100 percent offset solar array project Sept. 1. in a ribbon cutting ceremony with Governor Kate Brown. With 1,000 panels, the project produces nearly 549,200 kilowatts per hour of power a year and offsets the facility's entire power demand. "This particular proposal came forward out of a sustainability audit we were having with Ferrero, the maker of Nutella, and they were saying, 'Can you find alternatives for energy and other things that will make your processing facility more sustainable?'" said Larry George, co-owner of NW Hazelnut. "We are the very first processor in the world to be 100 percent solar offset." "I think that solar panels are great for agriculture, so long as they're not built on agricultural ground that would otherwise be productive," Richmond said. "With this spring being so wet, I think that the trees were pretty happy because they like getting water, but this summer has been incredibly dry. I think that we had 80 days without rain, so it's been feast or famine for the trees." "We actually have put in solar panels on our farm for our irrigation pumps," Richmond said. "Now it's a wash where we get a (tax) deduction and some sort of payment for the power that we generate." With the field-price for hazelnuts — a global, set price per pound for unprocessed hazelnuts — hovering around the $1.20, any cost-cutting measures are good for farms' financial bottom lines. "In the last five years, at least 5,000 acres of hazelnuts have gone in in the Willamette Valley, so there are a lot of new growers," Richmond said. But he says that he's not sad to see others joining in the business and considers it a "the more, the merrier" kind of situation. "I've never talked to another grower that considered other growers to be competition or something," Richmond said. "Almost everyone in the industry is happy to share tips of what they've tried and what's worked and what hasn't. It's a very friendly community of growers, and there's no reason for there not to be since we're all going to be paid the same at the end of the day." There's also strength in numbers when it comes to pushing for farmland preservation and furthering sustainable initiatives. Richmond specifically cites SB 100, which was passed in 1973 and essentially requires all cities in Oregon to protect and preserve prime agricultural land and forest from development, urban sprawl and city zoning for development. 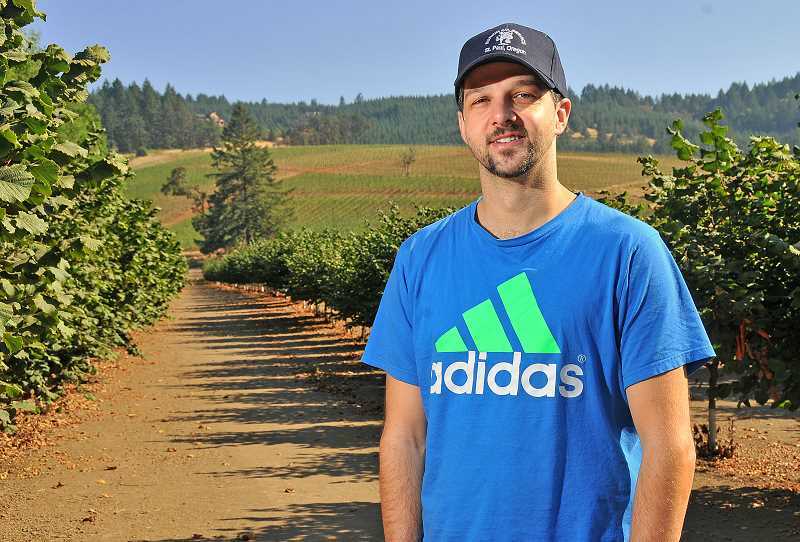 Richmond says that it's important people realize that the thriving nature of the hazelnut and larger agriculture industry in Oregon is the direct result of people taking up the cause of protecting and preserving farmland. "Without Oregon's unique land use laws, a lot of Oregon's most productive farmland would be developed and the drive from Wilsonville to Newberg, for example, wouldn't be a series of farms, vineyards and orchards. It would be condos," he said. "I think that the solar initiative is one part in the larger topic of land use planning." "From grower through processor, you have a sustainable supply chain," said George, NW Hazelnut owner. "Our growers do a great job of growing hazelnuts in a sustainable way... it's a very low impact crop and the trees are there for over 80 years, so everybody knows that hazelnuts are a very sustainable agriculture." "Growers in Oregon know what they're doing and really care about the quality of the crop that they're delivering," Richmond said. "From the processor's perspective, the cleaner the crop that growers can produce the better it is for everyone."